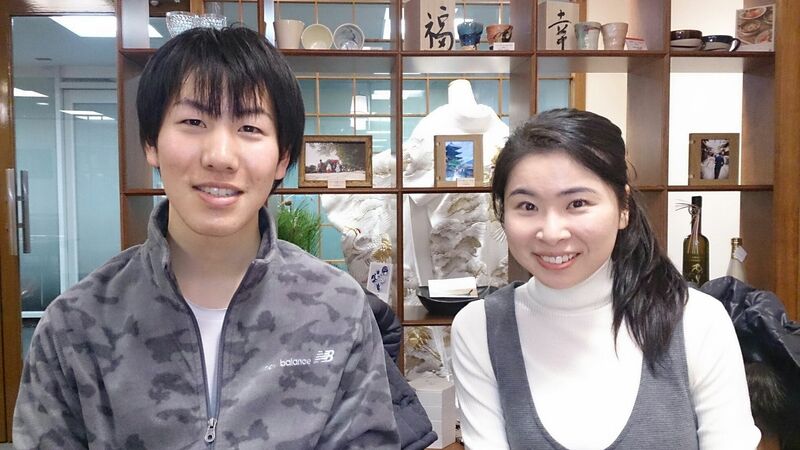 A couple who had got married at the World Heritage site “Nijo Castle” and had a reception at “Saami (ryoutei restaurant)” in December 2016 visited our Tokyo office. Since they were so nice people who cared others, I was always looking forward to seeing them for the preparation of their wedding. As they love Kyoto so much, they decided to have their wedding there although neither of them were born in Kyoto. But the bride’s grandfather used to make “sensu (traditional Japanese fan)” in Kyoto and the groom has been a big fan of Kyoto and he has the 1st-grade certificate of “Kyoto Kentei (=a test certifies one’s knowledge about Kyoto). At the wedding reception, “maiko” danced to celebrate their marriage and a ritual called “Hashi-tori no gi” was conducted. They enjoyed and shared the precious moment with their guests. when they visited our Tokyo office. I am so thankful for the opportunity that we could support their wedding. I wish their happiness with all my heart.